PHARR – Thanks to a generous grant by the US Department of Education, the University of Texas Rio Grande Valley (UTRGV) and Pharr-San Juan-Alamo ISD (PSJA ISD), are hosting a week-long celebration of multicultural learning at PSJA Southwest Early College High School from Feb. 5-8. UTRGV was recently awarded the “Undergraduate International Studies and Foreign Language Program” grant of $172,000 to promote global awareness throughout Hidalgo County. 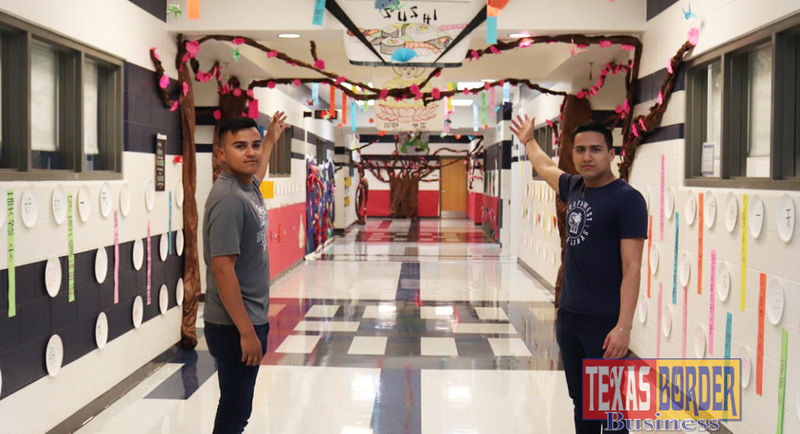 As part of the grant, about $16,000 will go toward conducting community outreach at PSJA ISD, specially to students and staff in the district’s renowned Dual Language Enrichment Program. This week-long celebration and learning, will conclude with the 2nd Annual Lunar Year Festival: Celebrating the Year of the Hog on Friday, Feb. 8 from 6:00 pm – 8:00 pm. The annual celebration will include a traditional dragon dance, cultural cuisine, authentic music, and special performances by PSJA students currently participating in the district’s Mandarin Chinese program.